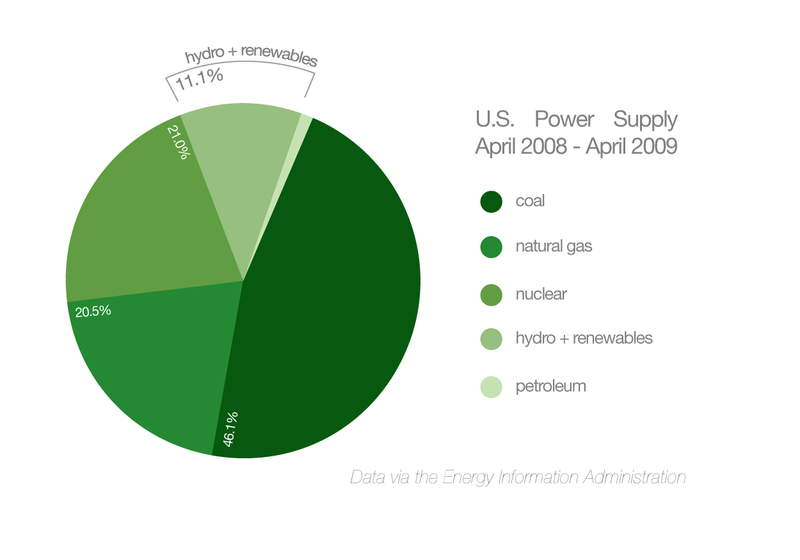 US Electric Industry Overview | .::JohnChowdhury.com::. The electric utility industry is mammoth in size. In 2009, the U.S. electricity industry supplied 4.0 million gigawatt hours (GWh), of which 70.2% was from combustible fuels. The International Energy Agency predicts that electricity demand will double over the next 25 years. Not only will that require a lot of electricity generation from nuclear and coal, but it will also require a significant investment in the transmission lines, substations, meters, and other equipment and services that bring electricity into the homes and businesses that depend on it. The transmission and distribution of electricity is the core business of electric utilities. The electricity industry value chain consists of four elements. First, there is energy generation, requiring both a fuel source (e.g., coal, nuclear, natural gas, Wind Energy) and a power plant to convert that fuel source into electricity. Second, electricity transmission involves both transforming generated electricity into electricity that can be transmitted over power lines and matching end user requirements (demand) with energy availability (supply). After transmission, electricity must be distributed to individual end users via a vast network of power lines and substations. Electric utilities often own miles of power and transmission lines– PG&E, the nation’s 2nd largest utility, owns over 100,000 miles of distribution lines alone. Lastly, there is delivery, where electricity is transformed again and delivered directly to an end user. Delivery also involves metering and billing. Understanding the business of electric utilities requires understanding which parts of the value chain they control– and which parts they don’t. As indicated by the explanation above, electricity is a natural monopoly–there is typically only one power line connected to your house. While one company may own that power line, they do not have a lot of say in the prices they charge due to government regulations.If prices went up would you switch utility companies? That would be difficult to impossible, depending on where you live. PG&E and Southern California Edison the two largest by revenues, offer power to Northern California and Southern California, respectively. In each, investors get a sort of “two-for-one”: an investment in both an electric utility and a renewable energy company. Both are under significant pressure to invest in renewable energy, both in the short-term (i.e., purchasing renewables for current electricity distribution) and in the long-term (i.e., developing renewable energy generation projects). PG&E for example, has indicated that it will procure at least 10% of its energy from renewable sources by 2010. Duke Energy Corporation (DUK) is an electric utility that provides retail energy to customers in North Carolina, South Carolina, Kentucky, Indiana, and Ohio. Duke has witnessed a renaissance of late, after playing second fiddle to Enron in the wholesale energy trading business in the late 1990’s. Now, with Enron gone, Duke controls a significant amount of unregulated energy assets, as well as a sizable chunk of the remaining wholesale energy trading market. Reliant Energy offers an interesting opportunity as the largest electric utility operating in Texas. With an unregulated retail market, investors might expect a well-positioned electric utility to benefit mightily from the pricing flexibility offered in Texas. Reliant’s recent run-up in share prices seems to support this view. Comverge, a recently listed manufacturer of demand-side management (DSM) software and systems, is a service provider to electric utilities. Essentially, Comverge installs systems to monitor and manage electricity consumption of end users, freeing up capacity for utilities and reducing their need to fire up additional plants during times of peak usage. What separates Comverage from other suppliers of DSM systems, such as Honeywell International or EnerNOC, another recent IPO, is that Comverge handles everything, including installation and management of the system, and is paid by the utilities based on the kilowatt-hours of energy it provides. This revenue model is powerful, making a bet on Comverge equivalent to a bet on rising energy prices, especially during times of peak demand. There are few electric utilities who stand to lose from the various headwinds supporting the electric utility industry. As regulated entities, their Return on Equity is capped and therefore investor upside may be limited, but downside risk is also limited. Some companies have lost, and will continue to lose, from deregulation, such as the electric utilities themselves, who were forced to divest assets to create independent power generation companies. And there are those who win (or lose) from rising fuel costs, and the attendant pressure this puts on electricity prices. Among utilities, one might watch out for Consolidated Edison, New York’s largest utility, given new governor Eliot Spitzer’s penchant for David & Goliath battles and ensuring a fair shake for individual consumers. In addition investors can look to things like Natural Gas (NG) which at present is cheap and plentiful. Many power plants outside the US run on NG. Recent decisions by three huge US banks (citi, JPM, MS) to adopt guidelines for loans based on the use of cleaner fuels for new plant construction will be very NG positive. China and Russia are both actively seeking to acquire NG from the large (mostly untapped) gas fields in East Asia supporting the argument for increased and sustained demand. What we call “electric utilities” today are actually a wide variety of generators, transmitters, distributors, and billing companies. This is due to in large part to the history of the electricity industry. Historically, as a result of their natural monopoly, electric utilities have either been public-owned or heavily regulated. More recently, in an effort to bring down electricity costs to end users, a wave of energy deregulation swept electricity markets in the 1990’s, starting with the Margaret Thatcher-led deregulation in the UK. Typically, deregulation has involved separating generation from transmission and distribution and creating wholesale power markets, where electric utilities (who continue to own the transmission and distribution assets) purchase energy from competing generators. Deregulation in the U.S. occurred on a state-by-state basis, but has been largely rolled back after several crises, including the 2000 California power crises and a series of brown-outs in the North East in 2003, highlighted the challenges of a deregulated market. Deregulation increased price volatility and supply disruptions, and proved prone to fraud by energy traders such as Enron. As a result, deregulation has stalled in many states, both in the wholesale markets, where only 16% of U.S. electricity generation is sold to unregulated utilities, and in the retail markets, where Texas is the only state in the U.S. with entirely deregulated pricing. What remains for electric utilities (and investors) is a spiderweb of regulations and assets. Retail prices are typically regulated by state electricity commissions, which routinely refuse rate increase requests from electric utilities, and prices vary widely, ranging from 18.3 cents per kwh in Hawaii to 5 cents per kwh in Kentucky. Regulators also often target an “allowable Return on Equity” for electric utilities, meaning that electric utilities are not necessarily, like other companies, encouraged by their investors to make more out of less. In the fourth quarter of 2008, the U.S. economy contracted at a 3.8% annualized rate (5.1%, excluding inventory buildup) according to the U.S. Bureau of Economic Analysis. When the economy is in a recession and output contracts, demand for electricity plummets, as large industrial users cut back on production. As demand for electricity falls, so too do prices. This, combined with shrinking credit markets, means that electric utilities will find it difficult to spend more on investment, which has the potential to be a problem for companies operating in states with Renewable Portfolio standards (see below). The 2008 Financial Crisis also saw plummeting commodities prices. The price of coal, in particular, is important to electric utilities; in April 2008, coking coal prices went as high as $285 per metric ton. According to a report by UBS analysts, however, 2009 coking coal prices will drop to $85 per metric tonne and thermal coal will sell on average for $55 per short ton (.91 metric ton). Similarly, natural gas contracts fell from a high over $14 in early July 2008 to below $4.50 in late January 2009. As the costs of energy inputs decline, electric utilities will see their costs decline; the only question is: will costs or prices decline faster? For the first time since 1945, the end of the Second World War, the International Energy Agency has forecasted that world electricity demand will fall 3.5% as a result of the global recession. Chinese electricity use is predicted to fall 2% from 2008, while Russia’s by 10%, and the OECD’s by 5%. Of these declines, three fourths are attributed to reductions in industrial energy consumption – because of the fall in industrial output. To compare with these numbers, global energy demand increased 2.5% during 2008, the year the crisis struck. In any industry where prices are capped or heavily regulated, government regulation will play a large part in determining returns. Electric utilities are no different. The future of government regulation is murky, however, given that on the one hand, regulators still wince from the recent bad experience with deregulation, but on the other hand, rising generation costs are forcing regulators and utilities alike to develop innovative methods of reducing end-user electricity costs. A recently added ingredient in the stew of government regulations is Renewable Portfolio Standards (RPS), which require utilities to purchase a certain portion of their energy needs from renewable sources. Many states have implemented RPS, and it is anticipated that such standards will increase in the future, likely increasing the cost base for many electric utilities. Since 46.7% of U.S. electricity is generated from coal and 20.5% is generated from natural gas, the industry is a huge emitter of greenhouse gases. With President Barack Obama pledging aggressive action against global warming, and a liberal Congress doing the same, there is serious political momentum in favor of cutting carbon emissions, through carbon trading, carbon capping, and possibly carbon taxing. These programs would effectively put prices on emitting carbon, causing electric utilities to incur large costs as they are forced to reduce emissions through retrofits or, more likely, installation of new, renewable energy capacity. The utilities that are ahead of the curve in terms of renewable capacity, like PG&E and Xcel Energy, are positioned to suffer less than their peers, as they will be forced to spend less in the future to achieve emissions reduction goals. One way or another, electric utilities pay for the fuel used to produce electricity. Either they pay for it directly, using it to generate their own electricity, or they pay for it indirectly, in the price they agree to pay independent generators. Given this, it is little wonder that electric utilities depend heavily on nuclear and coal fuel sources, the prices of which have historically been more stable. Rising fuel prices force utilities to pass their costs onto customers, which can cause backlash among consumers and lawmakers. Con Ed, for example, said that its electricity prices for summer 2008 would be 22% higher than in summer 2007, prompting a New York City Councilman to make comments about the firm’s exorbitant executive pay packages. Historical and projected cost of various fuels to electricity generators in the U.S.
Utilities face growing pressure from government regulatory bodies to curb their emissions of greenhouse gases, making them particularly vulnerable to “green” legislation like the Renewable Portfolio Standards being enacted in 26 states and the Advanced Energy Portfolio Standard being enacted in Ohio. Legislation such as these continue to pressure utilities using coal to switch to cleaner forms of energy generation. Also effecting utilitiy companies, in July 2010, the Obama administration proposed deadlines to curb pollution. The proposed rules would limit trading of pollution allowances while slashing sulfur dioxide, which produces acid rain, and nitrogen oxide, the cause of smog. The proposed rules would cut sulfur dioxide by 71 percent by 2014 from 2005 levels and nitrogen oxide by 52 percent over the same period. Leading utility companies have made statements that utilities do not have enough time to permit, construct and install control equipment to limit emissions or replace polluting plants with new capacity. Pollution cutting legislation will continue to impact utilities and will require changes to traditional forms of power generation. GDP growth (along with weather, see below) is the ultimate drivers of electricity demand, and as such, electric utilities stand to benefit from steady, secure GDP growth. As compared to consumer goods companies such as Ford Motor or Best Buy, however, electric utilities are relatively insulated from downturns in the economy due to the fact that power is considered an essential by many consumers. For this reason, electric utilities are considered a classic example of “counter-cyclical” investments, or investments that are not correlated with the overall economy. Like air conditioner manufacturers, electric utilities have a love/hate relationship with the weather. Higher temperatures in the summer mean higher electricity bills (the average monthly residential bill in the U.S. is $88.60), but can also force the utility to purchase power at more expensive prices or to fire up older, less efficient power plants. Since retail prices are typically regulated, the high costs of generating electricity during peak usage periods cannot be passed on to customers. U.S. households consume 21% more electricity now than they did in 1978, and the Edison Electric Institute estimates U.S. electricity use to rise by 30% by 2030 and U.S. household use to increase by 11%. At the same time, committed resources are only predicted to rise by 8.5%. Combine this with growing demand from growing computer and AC use and restriction on generating sources to address climate change and some are predicting that the next price shock will be in the form of spiking electricity prices. Since 2000, average U.S. electricity rates have increased at 2.5% per year – faster than the 2% rate of inflation. Decreasing global demand for electricity, as predicted for 2009, will likely have the effect of lowering electricity rates, as local regulatory agencies will be pressured to reduce prices in the effort to take some strain off consumers. Despite the long-term trend towards increasing energy use, the U.S. has become far more energy efficient over time. In 1970, the U.S. economy needed 18,000 BTUs for every dollar of GDP; as of 2008, only 8,520 BTUs are needed to generate a dollar of national income. Thus, economic growth has been the primary driver of energy consumption – per dollar, Americans are actually using less energy than before, the implications of which mean that energy consumption actually grows at a lower rate than the economy – bad news for electric utilities. Much of the nation’s electricity infrastructure is over 100 years old; as electrical demand increases, utilities companies are being forced to look into installing new, costly infrastructure to handle more power – to be exact, an estimated $17 billion in new infrastructure technology by 2010, which will use techniques like liquid nitrogen cooling. Some utilities, like Xcel Energy and Dominion Resources, are installing “Smart Grid” systems to help customers monitor electricity use and manage loads and costs. As interest in renewable energies has increased, focus has turned to the ability of the nation’s electricity grid to handle this energy and in a more efficient manner. With the passing of the American Economic Recovery and Assessment Act $4.5 billion dollars was allotted to the Office of Electricity Delivery and Energy Reliability to be used to modernize the electric grid, enhance security of the energy infrastructure and to ensure that growing demand is met. However, this is a small amount of what is required to upgrade grids and interconnects. It has been reported that to support the transportation of the proposed 300,000 MW of wind energy will require the investment of $60 billion by 2030. The current grid is over 100 years old and consists of over 9,200 electric generating units with more than 1,000,000 megawatts of generating capacity and more than 300,000 miles of transmission lines. Integrating large amounts of wind or solar power into the grid will require advanced energy management techniques and approaches at the grid operator level. According to the European Wind Energy Association for these energies to supply more than 20%, vast improvements will be required. If these are not met and planned for, the full potential of wind and solar power will not be realized. This is crucial considering that 29 states have committed to the use of renewable energy sources, with goals of increasing energy portfolios by up to 20% by as early as 2010. Also for the second year in a row a poll conducted by NRG Systems at the American Wind Energy Association’s (AWEA) WindPower 2009 conference found that transmission and interconnection constraints were the greatest barrier to the development of wind energy. 43% of respondents (making it the leading opinion) stated that an upgraded national transmission system would contribute the most to the development of wind energy. Without improvements the ancient electric grid of the U.S. will continue to struggle to meet increasing demand and the ability to incorporate input from renewable resources. Work must not only focus on the generation of wind energy, but to ensure that it can be distributed and utilized to its full potential.